Home / Enzo Pineda / Piero Vergara / Princess Snell / reality TV show / Steven Silva / Princess Snell, Piero Vergara - Out from StarStruck V! Princess Snell, Piero Vergara - Out from StarStruck V! 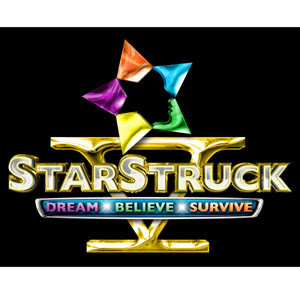 StarStruck V's Vote Night Live bids goodbye to two survivors - Princess Snell and Piero Vergara. The result of the Factor 3 - consisting of 60% Texter's Vote, 20% Council's Vote and 20% Survivor's Vote - is a surprise to all te StarStruck V fans. Personally, I'm betting for Enzo Pineda or Steven Silva for the boys and Nina Kodaka for the girls to be eliminated this night but the result was different. Anyways, since this is a competition, we have to accept that everything happens because of the votes. Piero and Princess has a lot to offer for StarStruck since they are talented indeed. Let's see what will happen this week as StarStruck V continues. ONLY PIERO and ROCCO are the best bets for the boys.. too early for PIERO's exit.. would have been best if he made it to the final 2 with Rocco.. but i'm sure PIERO will make it big after the show's over.. GO PIERO!!! PRINCESS's star power will help her shine once again after the show's over.. maybe a little tweak with her attitude.. but she would still make it as a young star!